Is a specialist skincare product formulated to help improve the appearance of scars, stretch marks and uneven skin tone. Its unique formulation is also highly effective for ageing and dehydrated skin. Bio-Oil is a specialist skincare product that helps improve the appearance of scars, stretch marks and uneven skin tone. Its advanced formulation also makes it highly effective for other skin conditions, including ageing skin and dehydrated skin. What makes Bio-Oil unique is the breakthrough ingredient PurCellin Oil, which acts as an advanced delivery system for Bio-Oil's other ingredients, ensuring they are absorbed into the skin where they are most needed. Selected vitamins and natural herbal extracts, well known for their skin regenerative properties are mixed in an oil base to ensure they maintain their maximum potency prior to application. In addition to the breakthrough ingredient PurCellin Oil, Bio-Oil contains Vitamin A, Vitamin E, Calendula Oil, Lavender Oil, Rosemary Oil, and Chamomile Oil. 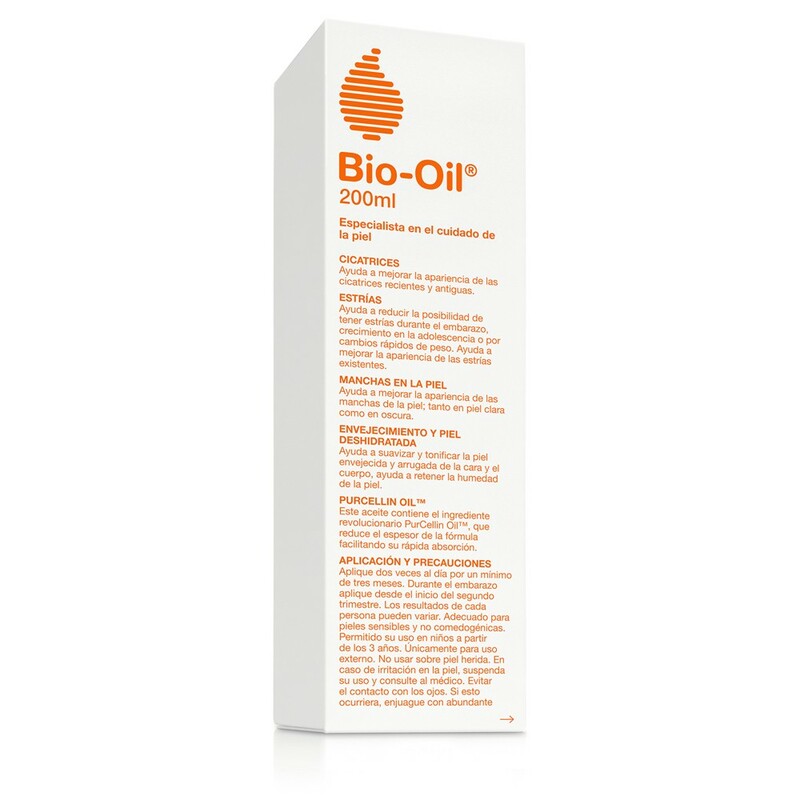 Bio-Oil is safe to use on both the face and body, apply twice daily massaging gently with the fingertips in a circular motion until fully absorbed. Use for a minimum of 3 months. I have been use Bio-oil for 1 and half year. I love the smell and very gentle for skin. but the problem is...didn't remove my stretch marks actually. but I will still use this product, just because it's makes my skin very smooth. I LOVE this stuff - seriously - LOVE! I had a 2nd degree burn on my leg about the size of a tennis ball - 3 months of applying this oil and you would never know there had been a burn at all! It is incredible. I always make sure I have some of this - makes your skin so smooth and soft and is great for old and new scars.